The actor, singer and songwriter Hartmut Neugebauer reportedly passed away on June 22, 2017, aged 74. He was known to the Sonic community in Germany as the voice artist for Dr. Eggman in Sonic X and a number of Sonic the Hedgehog video games. Neugebauer began his on-screen role as the villainous scientist back in 2004, when Sonic X began airing on German TV. An accomplished actor with a multitude of dubbing roles on his resume (most famously being Robbie Coltrane’s counterpart in the German releases of the Harry Potter films, voicing Rubeus Hagrid), Neugebauer was an experienced and wise choice for the role of Eggman. While SEGA did unify its English voice acting talent pool following the syndication of Sonic X – meaning the cartoon voice cast took over acting duties for the video games as well – in foreign language markets this wasn’t necessarily the case. In Germany, Neugebauer did not voice Eggman in a Sonic video game until the release of Sonic Generations in 2011. He also voiced the evil genius in the German version of Sonic Lost World and the two Sonic Boom video games – although curiously he did not voice Eggman in the Sonic Boom cartoon show. Our friends at German Sonic fansite Spindash.de reports that Sonic Boom: Fire & Ice could be Neugebauer’s last time voicing Eggman, reasoning that local language voice casting probably hasn’t begun yet for the upcoming Sonic Forces. Rest in Peace, Hartmut Neugebauer. Our thoughts go to his family and friends. Condolences to his family. 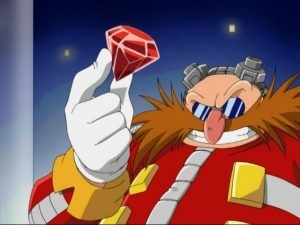 Never heard the German dub of Eggman’s voice but regardless anyone willing to take a character that means a lot to this community has my respect. Rest in peace sir and thank you for your contribution. Jesus Christ, not another one. Of course. It has to be another one. This is really sad for the sonic community. Why God, why? It doesn’t have to be this way. We lost one in JP and now there is this one. Oh yeah, I remember this guy. I watched one of the Sonic Generations cutscenes in…German, for some reason, and he was voicing Eggman. And he did a REALLY good job. He was one of my favourites (German fan here). With so many Eggman voice actors dead, I don’t know how long Isaac Bardavid (Eggman’s Brazilian Voice Actor – he’s 80-something years old) will last. R.I.P. Hartmut Neugebauer , despite the fact I did not know about him before. Is there some sort of Eggman voice actor curse?